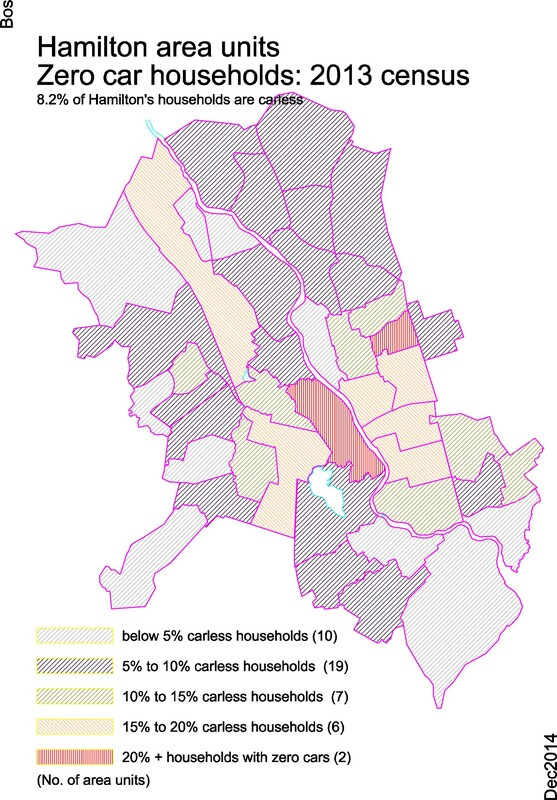 On 2013 census day (see transport) 8.2 percent (4,173) of Hamilton’s 50,388 households had zero access to a car; this represented a change from 10.1 percent (4,188) of Hamilton’s 41,385 households in the 2001 census, but an increase from the 2006 census of 7.7 percent (3,531) of 45,828 households. Question: are we growing the fleet? 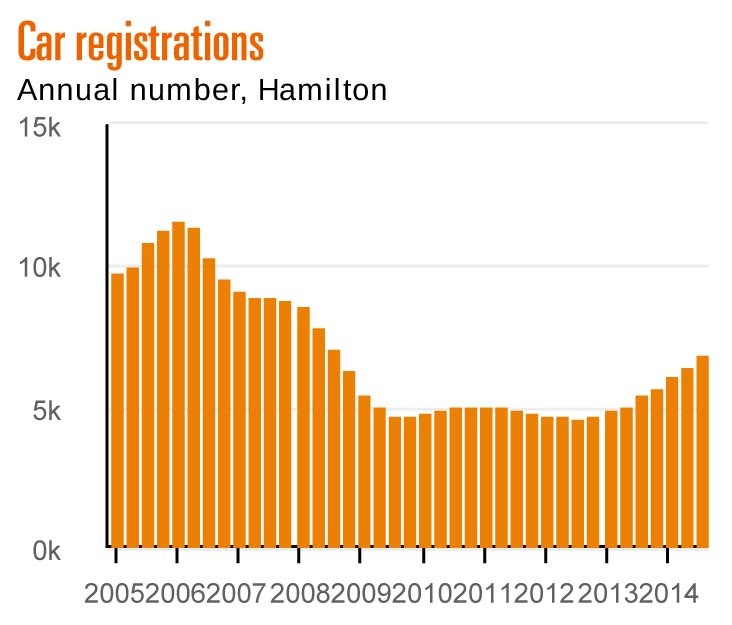 There are 188,499 cars registered in Hamilton. 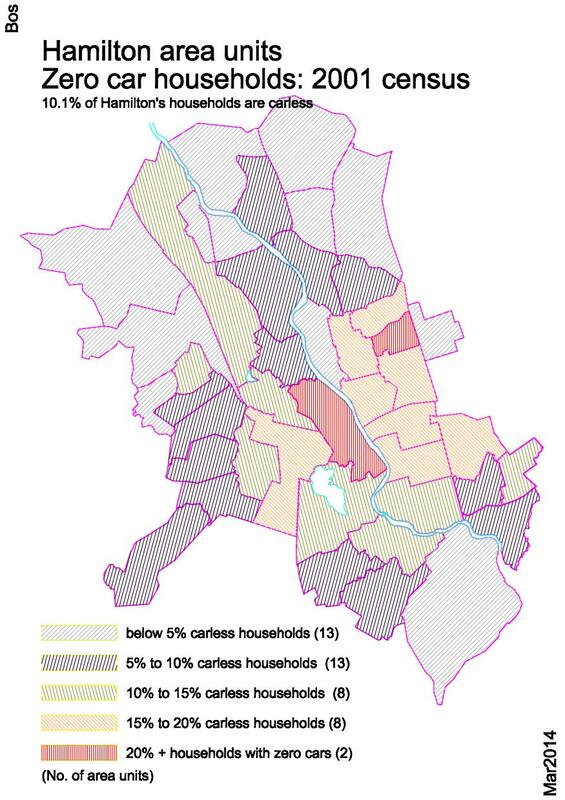 Assuming cars are normally driven for approximately 20 years, to replace the total fleet of cars in Hamilton we would need to register 9,425 cars per year. What we see from the graph above is that this is not happening. In fact the 10-year average for Hamilton is 6,910 cars registered per year. With the average age of cars in New Zealand being already 13.8 years (older than the 11.6 years as recorded in 2001), it is very possible that the total number of registered cars in Hamilton may not increase in the near future, as older cars start to be deregistered at a faster rate than new cars are added.